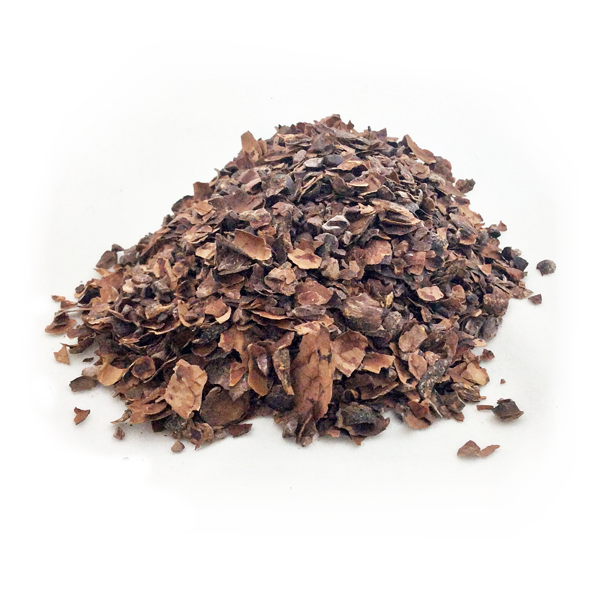 It’s full of antioxidants and possible cancer-fighting polyphenols. It is delicious at all virtually all temperatures with nary a trace of harsh astringency, making it a perfect, gentle nightcap for those of us who want to go to bed at…some hour. It’s pretty hard to go wrong with that, right? 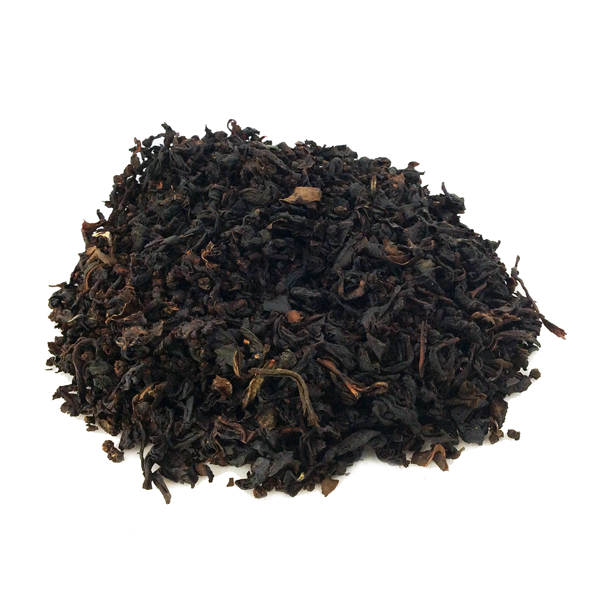 This unfamiliar variety is a very recent contender in the tea market and hails from South Africa. If that sounds strange to you, perhaps it should – technically, all “tea” comes from the camellia sinensis bush (or tree), native to China. What South Africa offers us is a completely different plant. 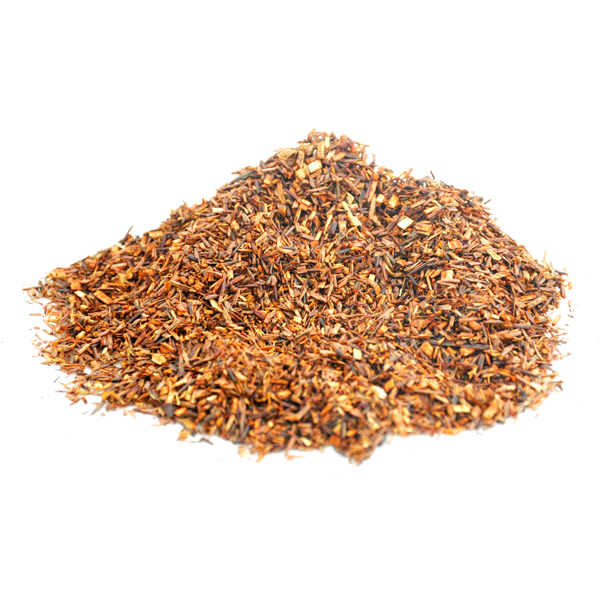 Rooibos (“roy-boss”) is the product of the finely cut and bruised leaf of the African Aspalathus linearis bush. Its leaf is slender and needle-shaped. Once bruised, it is left to oxidize in the sun (or “ferment” in the common parlance; it’s a figure of speech, as fermentation does not actually take place). Progress is carefully monitored until the desired characteristics have been reached and moisture content has been reduced to the point where the leaf is shelf-stable. 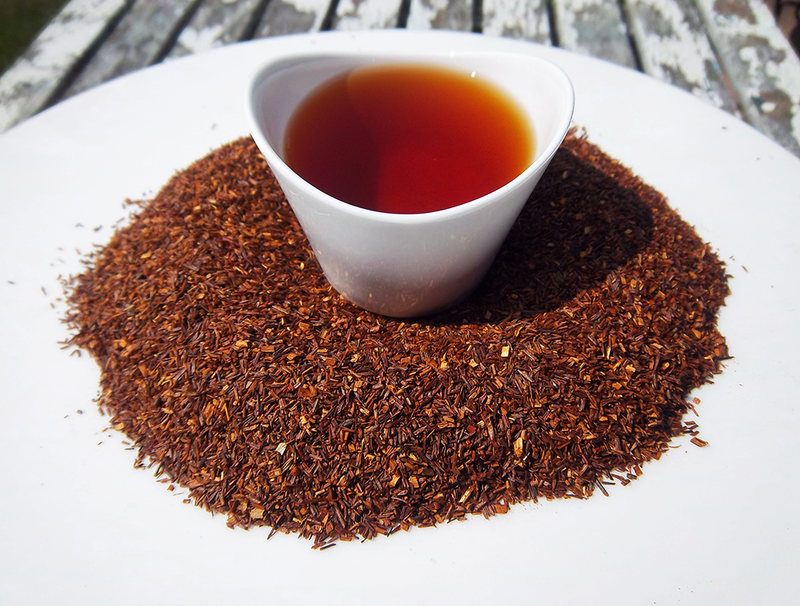 Therefore, Rooibos is not truly “tea” in the technical sense – it’s an herbal infusion known as a tisane (ti-ZAHN). 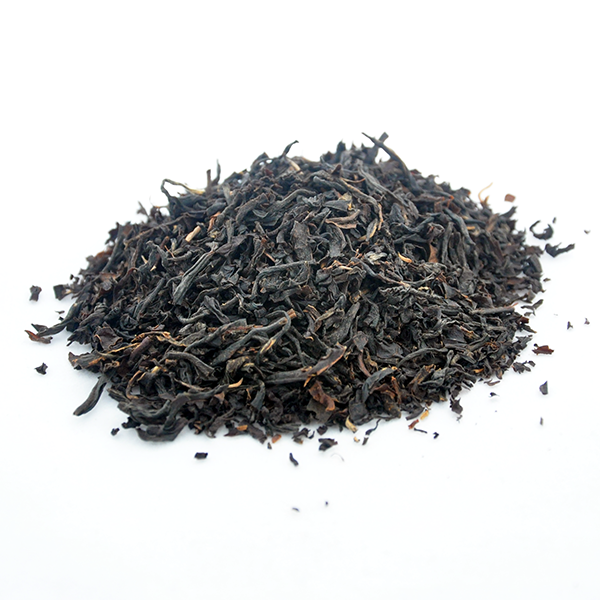 That said, while it’s remarkably different from your classical teas, it is no less worthy of appreciation. Bushmen have enjoyed it for centuries, but to us, our appreciation for it is only a few decades old. 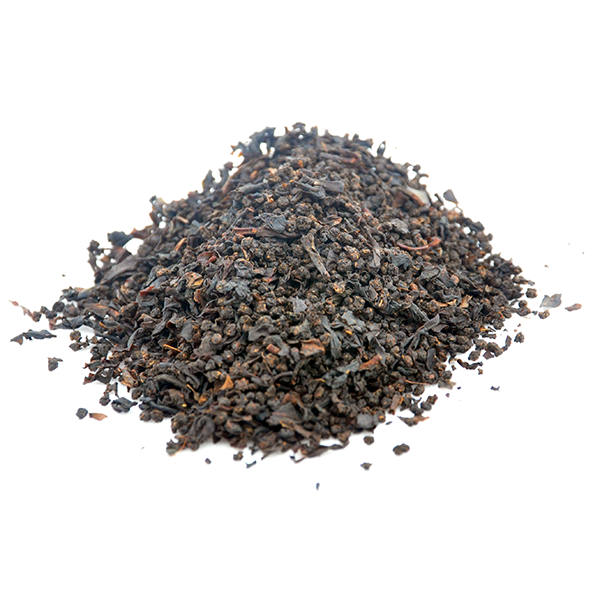 Most commonly prepared like a black tea (water at 200-210 degrees, 4-5 minute steep), it can also be produced in the same way as espresso. Americans came up with that one – are you surprised?! It takes milk and sweetener well, if that’s your cup of tea (ahem). In fact, some blends, like our vanilla and honeybee varieties, taste remarkably sweet without any added sugar whatsoever. 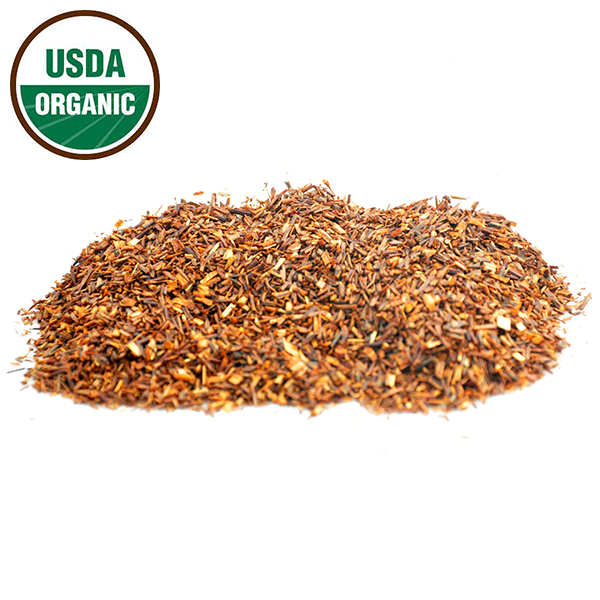 Personally, I love keeping a good Rooibos on hand as a solid nighttime send-off or curtailer of sweet-tooth cravings. A friend of mine enjoys it because it’s a natural answer to kids who frequently want juice: it’s mild and fruity, caffeine- and sugar-free, and tastes good hot or cold. Thus, for her and her wee ones, it’s an easy (and enjoyed!) beverage she tends to keep handy in the fridge. 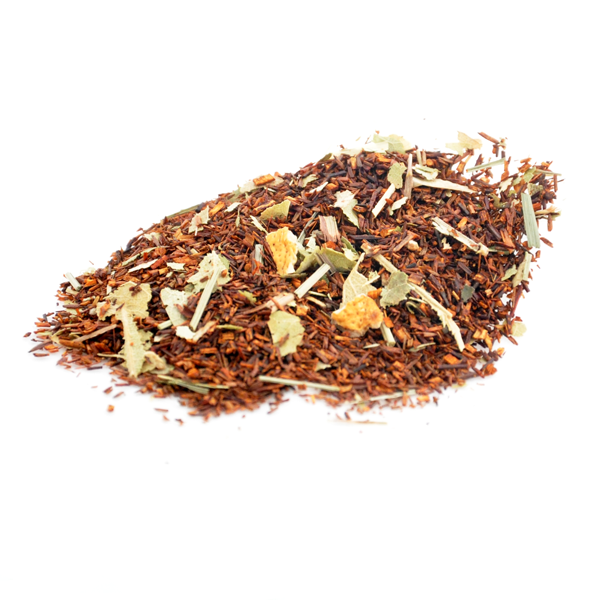 Rooibos: our answer to a fragrant, mellow cuppa. Try some today, and let us know what you think! 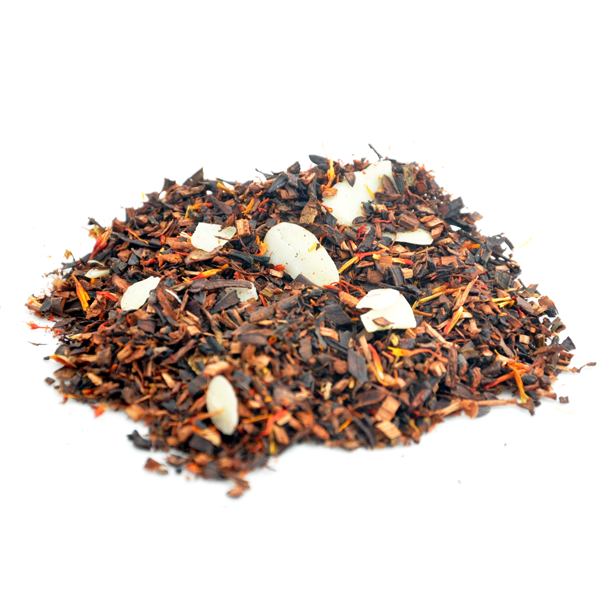 *In fact, our Rum Runner’s Red is actually a honeybush tea, so named for its natural honey-like fragrance. 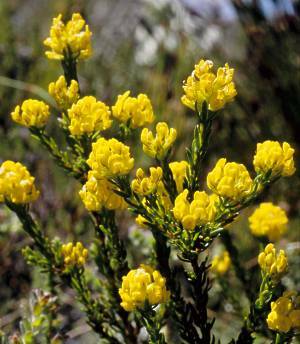 It also hails from South Africa and is processed very similarly to Rooibos, but its leaves come from a different bush: Cyclopia meyeriana.